Eugene, Oregon: Cascade Books, 2017. For most of its history, Christianity has been (correctly) understood as an essentially exclusive religion, implicitly if not explicitly. Critics of exclusivism have long pointed out the epistemological problems of this approach. (“Epistemology” is the theory of knowledge that addresses the rationality of belief.) After all, if there’s only “one way to heaven,” so to speak, even one Christian way, whose way is it? Christians, after all, are decidedly not a homogenous group. Many denominations disagree vehemently on what it is that women and men must believe and/or do to access that single path to eternal salvation. 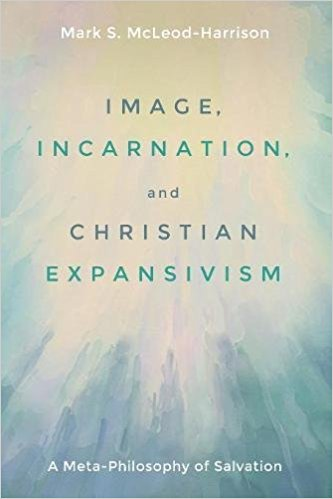 Philosopher Mark S. McLeod-Harrison addresses this issue in his new book, Image, Incarnation, and Christian Expansivism: A Meta-Philosophy of Salvation. He proposes an arguably palatable solution for evangelicals who affirm the historic creeds and traditionally “orthodox” Christian doctrines yet are troubled by the problem of exclusivism. Before introducing his own proposal, he explores the three most common approaches: Christian Salvific Exclusivism (CSE), Christian Salvific Inclusivism (CSI), and Salvific Religious Pluralism (SRP). There is only one true description of reality, including salvific reality. The Christian description of salvific reality is that one true description. The one true description of the Christian faith tells us that entering into a proper relationship with God through Jesus Christ in the power of the Holy Spirit is necessary and sufficient to be saved. Christ’s incarnate work on earth—birth, death, resurrection—provides the monistic ontological basis for salvation. A particular and unique necessary and sufficient human means grants access to the proper salvific relationship to God through Jesus Christ. More than one means can grant access to the proper salvific relationship to God through Jesus Christ and those means are disjunctively necessary and sufficient. Specifically, those who do not have the opportunity to respond to special revelation may still be saved on the basis of their response to general revelation, universally accessible to all humankind. People who respond positively to whatever light they have can still be saved, even if they haven’t heard the gospel. McLeod-Harrison finds this position equally problematic, however. He cites the obvious criticism that if access to eternal salvation through general revelation represents a lower bar, it would be preferable not to preach the gospel at all. An obvious alternative to both CSE and CSI is Salvific Religious Pluralism (SRP). “Pluralism in this context comes in a variety of forms, but typically denies each of 1, 2, and 3, or at least aspects of them” (p. 16). SRPs usually rely on global antirealist metaphysics, which McLeod-Harrison rejects, since “they tend to create infinite regress problems and they seem to grant human beings far too much creative power, power it seems we just don’t have” (p. 17). In its place he proposes a pluralist alternative that rejects a strict metaphysical realism and affirms inclusivism. My account does not limit access to the work of Christ to Christians per se. It may turn out that those who are un-, ill-, or misinformed of the work of Christ can still access the salvific work of Christ. Perhaps even those who make a well-informed and free decision to reject Christ (say because of some deep harm done by the church) are not self-condemned, but could be saved by the work of Christ via some apparently non-Christian means of access to that gracious work of God’s (p. 96). 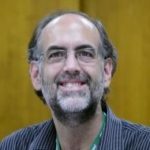 Though potentially satisfying for academic evangelical Christians, however, Christian Salvific Expansivism may be less appealing to Christians engaged in interreligious dialogue, which typically requires a position more open than that of a theistic irrealism. Additionally, it may be less pertinent to Christians for whom individual post-mortem fates are not an issue of primary concern. But irrespective of any given reader’s particular theological concerns, McLeod-Harrison’s theory of Christian Expansivism may, nevertheless, stimulate fruitful philosophical reflection on questions of ontology and epistemology.